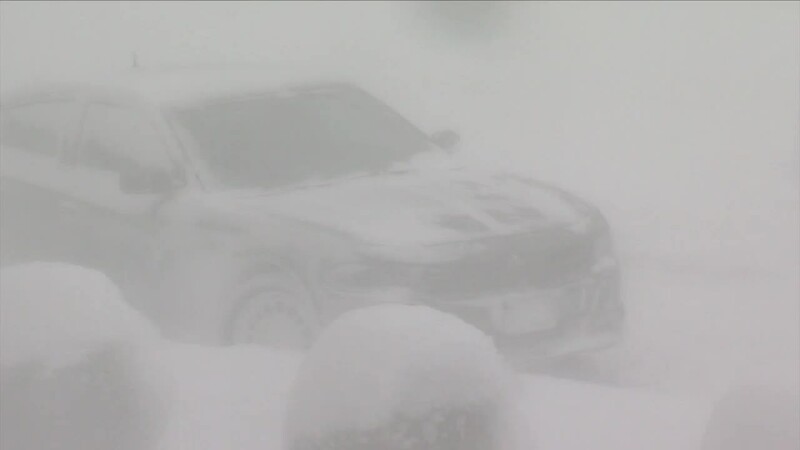 BUFFALO, N.Y. (WKBW) — A dangerous winter storm that has moved across the country is now hitting Buffalo hard as a Blizzard Warning was issued for parts of WNY by the National Weather Service. Buffalo Mayor Byron Brown has declared a State of Emergency for the city "due to hazardous conditions created by lake effect snow and extreme winter temperatures, which continue to threaten public safety." The mayor has issued a driving ban for all of the City of Buffalo, effective until 7:00 am Thursday. During a noontime press conference, city officials said New York State has sent equipment to help clear streets - with 65 pieces now in operation. Officials urge residents to avoid traveling on the roadways so crews can make progress. Mayor Byron Brown said it is crucial that people follow on-street parking regulations or their vehicles could be towed. The extreme cold is also a concern as temperatures on Wednesday dropped to zero degrees with wind-chills much colder. Harbor House is open during the day while St. Luke's and Holy Cross have overnight accommodations. In the attached clip, Buffalo Public Works Commissioner Steve Stepniak talks about the effort to clear the streets.